When viewers first see Louise Lasser’s dissatisfied housewife, Mary Hartman, she’s grappling with more than her white whale, the waxy yellow buildup on her linoleum kitchen floor. She’s also caught up in a soap opera. “What could we possibly be to each other, with you in jail and me on crutches?” asks an unseen drama queen on the TV within the TV. As The New York Times said in a 2000 retrospective of the series, Mary Hartman, Mary Hartman “was postmodern before postmodern had a name.” Mary’s sister Cathy (Debralee Scott) shrugs with her eyebrows, but Mary needs a moment to absorb the full profundity of her story. “That Joan, she is so wonderful no matter what happens to her,” she says. Sirens start wailing on that unsettling phrase. “No matter what happens to her.” It isn’t just Joan’s grace Mary admires, but her capacity for trauma, too. As quickly as the thought leaves Mary’s head, she’s moved on to beaming about her new floor polish. Cathy’s not impressed, pointing out the waxy yellow buildup. Mary can’t believe it. The ads say that’s impossible. The month Mary Hartman, Mary Hartman debuted, Time magazine named its annual Person Of The Year for 1975. Or in this case, Persons Of The Year: American women. “They have arrived like a new immigrant wave in male America,” reads the cover story. “They may be cops, judges, military officers, telephone linemen, cab drivers, pipefitters, editors, business executives—or mothers and housewives, but not quite the same subordinate creatures they were before.” It was January 1976, the year of Jeanne Dielman and Carrie White. Women’s lib enjoyed majority support according to polls. That year The ABC Evening News would hire America’s first female national news co-anchor in Barbara Walters. Television super-producer Lear dominated the Nielsen ratings—his All In The Family and Sanford And Son topped them for the 1974-75 season—but his shows had few female voices behind the camera. That is, until he clicked with the two writers and director who shepherded his next concept: Gail Parent, Ann Marcus, and Joan Darling. 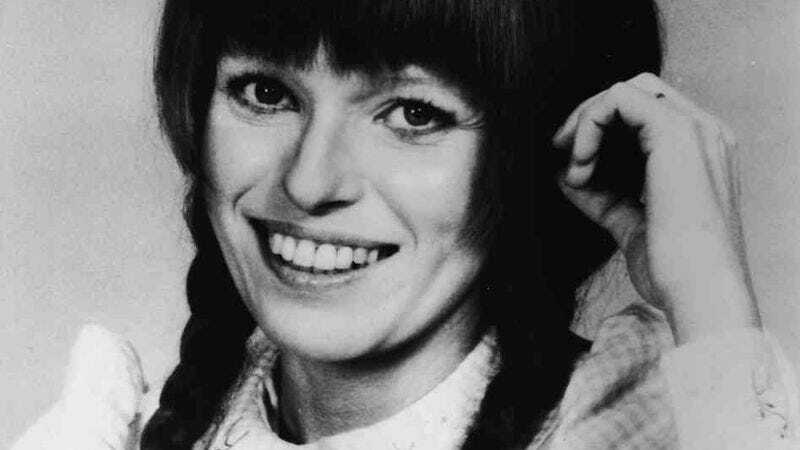 The skeleton of Mary Hartman came to Lear in the late ’60s when he decided to do a comic soap opera, but it took comedy writer Gail Parent to lay a foundation for the show. Together they established Mary Hartman, Mary Hartman as a daily blue-collar soap in opposition to the typical upper-crust daytime milieu: Protagonist Mary is an average suburban housewife in a dysfunctional relationship with an auto worker. Lear also had particular ideas about what would happen in the first week: The show would open with the mass murder of a neighborhood family along with their goats and chickens; the town flasher would turn out to be Mary’s grandfather; and when Mary and her husband Tom finally get to bed, Tom would face erectile dysfunction. These obstacles stymied the writers brought in to flesh out Parent’s basis into a pilot. But then Lear met Ann Marcus. Ann Marcus has a way with words and feminism, branding herself “the first copy boy with a D-cup” back when she worked in newsrooms. She spent the ’60s climbing the ladder from writing sitcom scripts (The Hathaways, Please Don’t Eat The Daisies), to staff- and eventually head-writer positions on soaps (Peyton Place, Love Is A Many-Splendored Thing) where she worked to address topical issues like racism and Vietnam. For Mary Hartman, she turned to her co-writers on Love, Jerry Adelman and Daniel Gregory Browne (then going by his birth name, Ken Hartman). With Marcus as head writer, they wrote a 60-page series bible for six months’ worth of story, and then they wrote scripts for the first two weeks. Marcus changed the Fernwood Flasher to Mary’s 83-year-old grandfather, and Browne came up with the waxy yellow buildup. For Mary, they chose Louise Lasser, a smart, twangy goof from Woody Allen’s early films. Based on those scripts, CBS head of programming Fred Silverman put up $100,000 for two pilot episodes, the first of which would win Marcus, Browne, and Adelman an Emmy. Meanwhile, actress Joan Darling met with Lear to discuss a Golda Meir biopic she hoped to star in, but Lear had another idea in mind. “Joan, how would you like to be a director?” The idea of a woman directing American TV was so foreign that Darling needed a minute. Taking after Elaine May and Meta Rosenberg—a directing producer on The Rockford Files—Darling agreed as long as she could have a personal stake in the content. So, after assembling a cast led by Lasser, Darling directed the two pilots as a stage production, and Lear hired someone else to film it. Afterward he convinced Darling to shoot it herself, and then to cut it together, too. Darling’s pilot sets the stage for the show to come: Heavy-handed organs comment on the action, extravagant act-break pauses make time for irises out, and there’s no studio-audience laughter breaking the illusion that Fernwood, Ohio, is the setting of a straightforward soap opera. The formal jokes, however, didn’t match the drama onstage. Lear recalls the connection between star Lasser and director Darling, saying whatever he expected from his comic soap, he could never have conceived of Lasser’s performance or Darling’s ability to bring it out of her. Executives swooned over the finished product, but had no intention of actually airing it. According to Darling, Silverman called it “the best-directed, best-acted, best-written show he’d seen, and it would never in a million years see the light of day as a television show.” So Darling started using the Mary Hartman pilot as her reel, which led to her first assignment that actually aired: The Mary Tyler Moore Show’s “Chuckles Bites The Dust,” the sitcom episode TV Guide would deem the best ever. As for Mary Hartman, Lear was rejected by all three major networks, but that only created more buzz. So he invited local station owners to a dinner and a screening at his Brentwood home, hoping to sell the show into first-run syndication. He next took to the road, traveling the country to sell Mary Hartman personally to individual television stations. It went for irresistibly cheap rates—Lear lost $1.2 million on the first season—but Mary Hartman was on the air. By the time of the premiere, the producer had assembled at least 54 stations to carry Mary, usually after the late-night news. Two months later he had 70, and by the end of the season he was up to 100. It took a bedroom scene in the second pilot for Lasser to understand Mary’s stasis. Mary and Tom (Greg Mullavey) are lying on their sides facing away from each other after a delicate standoff regarding their five-week slump. Tom has told Mary that doing nothing would make it easier for him to get turned on, and Mary tries to make sense of the logic: "How can not doing anything not be not doing anything?" The loss of life barely registers any more. It’s a running joke on the series that every time media enters the Hartman household—by phone, radio, or television—it’s always violence and death, and casually so. “And now that more than 792,000 people have died of starvation in Angola,” announces the radio, “the authorities feel that it might be proper to deem their problem a famine. In the recent earthquake…” Darling said, “My goal with that show was that it should be on at 4:30 in the afternoon and people would laugh, and then at 6 o’clock they’d watch the news and get a little uncomfortable.” That’s the show’s effect in a nutshell. Mary was surrounded by comic breakouts, most notably Emmy winner Mary Kay Place as aspiring country singer Loretta Haggers. She and Graham Jarvis’ Charlie Haggers had their own obstacles, but external ones. As believers in God, love, and each other, they were too satisfied to let advertising corrupt their senses of self. Then there’s Dody Goodman as Mary and Cathy’s mother, Martha, whose penchant for talking to her plants reflects Mary’s interior struggle. Martha sets the tone for the series by opening every episode screeching, “Mary Hartman, Mary Hartman.” No wonder Mary’s on edge. That 60-page bible meant to take the series through its first six months was used up in three weeks. At times in that first season, Marcus and her team were only working eight episodes ahead, but the ending they had in mind since January. Mary was invited on The David Susskind Show to represent “America’s typical consumer housewife.” There Mary wigs out live on camera, an excruciating sequence that begins with the character getting lost in the minutiae of television production itself. Two days before the Bicentennial, like Barbara Jean in Robert Altman’s Nashville, America’s typical consumer housewife has a nervous breakdown onstage. She isn’t the redoubtable Joan: Trauma wears on Mary. The second season was just as merciless. Television literally kills a character when his set falls into the bath. Mary spends two months in a psychiatric hospital until she’s sprung by Gore Vidal. Even though Marcus told Lasser the leads on real soaps aren’t even in every episode, Lasser wanted to try, but the schedule was so fraught it started to weigh on the actress, whose arrest for cocaine possession and bizarre SNL performance were met with all manner of speculation that conflated her with her character. The cast and crew made the long haul that year, airing five nights a week from October to July, but Lasser’s decision to quit brought the show to a close with 325 episodes, concluding with Mary once again swallowed up by a kitchen, trying to make out the apparent presence of waxy yellow buildup. The following Monday, Independence Day, Fernwood continued in Fernwood 2 Night, a talk-show satire hosted by Barth Gimble (Martin Mull) with sidekick Jerry Hubbard (Fred Willard). That fall the rest of the cast along with head writer Dennis Klein and regular director Jim Drake continued the soap-opera spoof in Forever Fernwood, but it was canceled after 26 weeks in 1978. Nevertheless, the cult of Fernwood lives on. The anti-talk-show movement of Comedy Bang! Bang! and The Eric Andre Show stretches back to Fernwood 2 Night. Those bang-bang broadcasts invading the Hartman household anticipate the local-access bulletins in Check It Out! With Dr. Steve Brule and the news briefs in Welcome To Night Vale. Mad Men is also defined by a tide of violent news reports, and its awakening housewife Betty and postmodern breaks betray an even deeper foundation in Mary Hartman. More than anything, Mary Hartman’s mixture of involving melodrama and absurdist detachment laid the groundwork for its closest successor, Twin Peaks, making Mary a spiritual ancestor of the turn-of-the-century renaissance in TV drama. Ultimately the legacy of Mary Hartman is self-consciousness, its awareness of itself—of life—as a ridiculous soap opera that must still be taken seriously. Next time: 100 Episodes is taking the holidays off. Join us back here in January, when we tackle MTV’s Undressed.